Partial Operation Window Seat post ~ that view is from today’s flight from LAX-JFK ~ as i worked all 5 hours on my Mac Book Air ~ even streaming TV shows in the background since this flight had no mini entertainment screen all of my own! It’s pretty amazing how a 5 hour flight felt more like a 1 hour flight when i had internet the whole way to work/chat my way through it! I guess we are pretty spoiled these days with the ability to get entertainment of all kinds in so many different ways! But it’s situations like this that inspired this gift guide which is filled with products that change and accessorize the way we interact and consume TV when outside of the living room… like while traveling! Take a peek at all my picks on the next page! 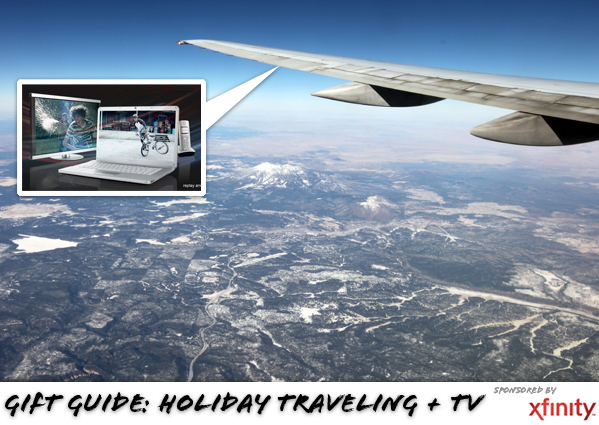 SO what else can help you watch tv while jetsetting and roadtripping for the holidays? As far as travel friendly devices to watch on - in the laptop division these are both beautifully light and versatile! Macbook Air - i still can’t get over how light this is! Dell Inspiron Duo - Flips from laptop to tablet! AIAIAI and Slam X Hype Edition Tracks Headset - gorgeous! Klipsch Image S5i Rugged headphones - features a mic and oversized moisture-resistant three-button remote! And if you want to share… either with headphones - or a wireless speaker! Belkin Rockstar 5 way 3.5mm jack splitter - you can share with 4 friends! 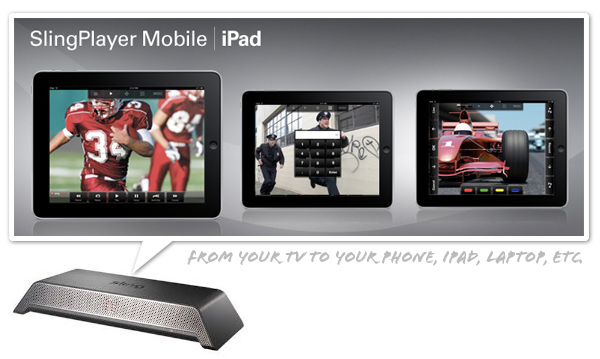 Jawbone Jambox - portable speaker/mic and more bluetoothed! Flexicords - from iphone cables to hdmi cables, they are bendable and posable.